The military exercise was led for the first time by the Croatian Army female officer Second Lieutenant Manuela Denzic. The 15th anniversary of successful cooperation between the Croatian Armed Forces and Minnesota National Guard (CAF) was commemorated this weekend by military exercise of 27 CAF members and the same number of members of the Minnesota National Guard, and by the meeting in Minnesota of Ministry of Defence (MOD) State Secretary Pjer Simunovic with Minnesota National Guard (NG) Commander Major General Richard C. Nash. MOD State Secretary Pjer Simunovic and Maj. Gen. Richard Nash talked about the successful cooperation so far of the CAF and the MNG through the "State Partnership Program", which was especially evident in the regular annual joint training but also through a joint multinational OMLT that participates in the ISAF mission in Afghanistan. Topics of discussion were also the ISAF mission and the military police school in which the leading nation is Croatia, then the situation in the region, as well as cooperation through A5 - the US-Adriatic Charter. Support of military forces in the event of natural disasters and catastrophes, and the functioning of the MNG through the active reserve were some of the topics for which the Croatian side expressed its interest and the need for sharing experience. A joint military exercise "CROMINN 11" which was attended by members of the 2nd Battalion "Gromovi" and led for the first time by the Croatian Army female officer Second Lieutenant Manuela Denzic was held in "Camp Ripley". It is an exercise that is traditionally held for the sixth consecutive year in the framework of bilateral cooperation with the United States. The aim of exercise is a common practice of army platoons and contribution to the development of security measures in the fight against terrorism. More than 230 CAF members were on training in "Camp Ripley" in Minnesota so far, while in the various forms of training and education in the U.S. was around 550 people from Croatia who were on more than 750 individual military trainings and educations in that country. General Richard C. Nash and Davor Bozinovic, Croatian Minister of Defence. 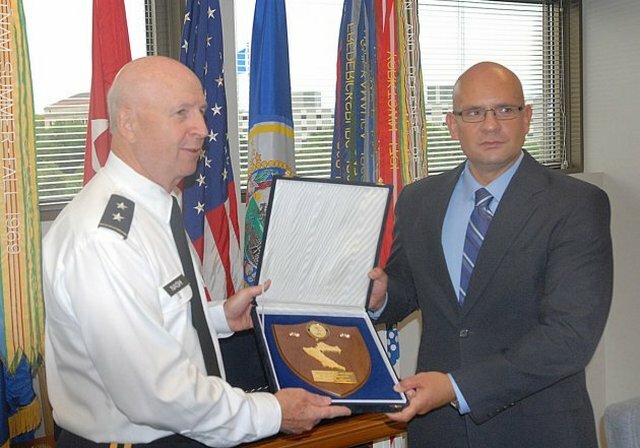 Defence Minister Davor Bozinovic received on 20 July 2011 in the official visit the Commander of the Minnesota National Guard Major General Richard C. Nash, with which the Armed Forces record 15th years of successful cooperation through the U.S. "State Partnership Program". 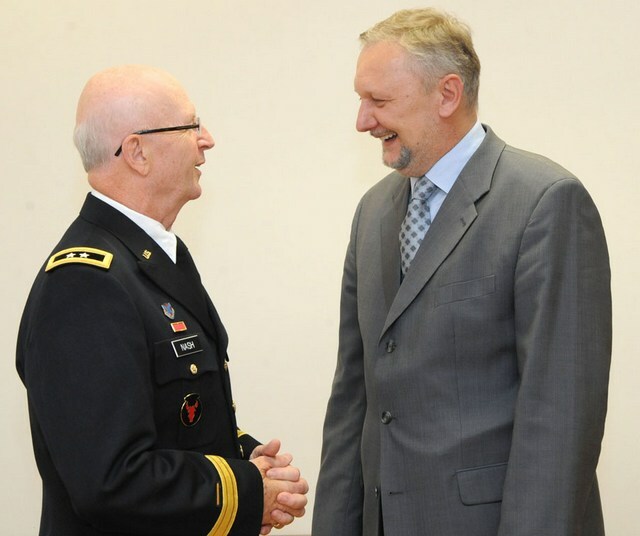 Minister Bozinovic and Maj. Gen. Richard Nash talked about previous cooperation between CAF and Minnesota NG, which has been successfully implemented for 15 years, with the conclusion that there was room for further expansion of cooperation. 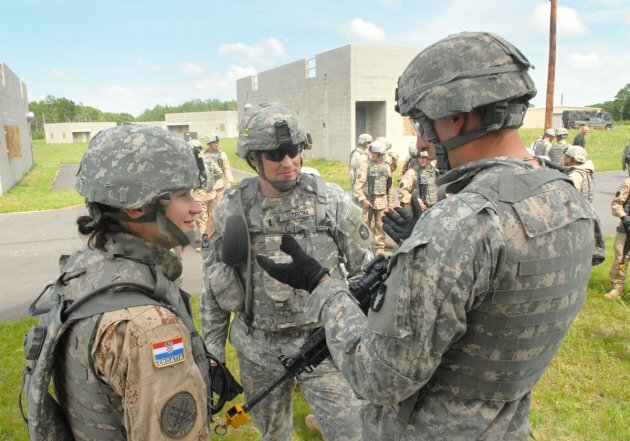 Croatian side is particularly interested in use of active reserve where Minnesota NG has a great experience, but also Croatia was interested in the way of involvement of the armed forces during natural disasters and catastrophes in which NG Minnesota contributes its resources across the United States. Also, given the experience in implementing training and mentoring of the armed forces, Minister Bozinovic emphasized the possibility of conducting joint training for the needs of Croatian Armed Forces and Minnesota NG and for the interested partner countries. Bozinovic and Nash also talked about a joint Croatian – U.S. multinational OMLT which has been participating in the ISAF operation in Afghanistan, then about the school of military police in Afghanistan, where Croatia is the leading nation, and on the recent successful military exercises in Croatia and the United States which involved members of the Croatian Armed Forces and Minnesota NG. For example, until now on the training at the "Camp Ripley" in Minnesota have been more than 230 members of the Croatian Armed Forces, while the various forms of training and education in the U.S. in the past completed about 550 people from Croatia who were on more than 750 individual military trainings in that country. The situation in the region, and cooperation through the U.S. - Adriatic Charter (A5) were also discussed between Minister Bozinovic and Major General Nash, and the meeting was also attended by the U.S. Ambassador to Croatia James Foley, Minnesota NG Joint Staff Director Brigadier General Neal Loidolt, and Army Commander Major General Dragutin Repinc. General Nash also paid a separate visit to the Chief of General Staff of the Croatian Armed Forces Lieutenant General Drago Lovric.